The Extraordinary Jubilee Year of Mercy (2015–16) was an opportunity for the Catholic Church—and for each one of us—to reflect on the merciful love of God the Father (Luke 6:36). Holy doors were opened in every diocese throughout the world as symbols of hope, healing, and love to announce the mercy of God, “the beating heart of the Gospel, which in its own way must penetrate the heart and mind of every person” (Misericordiae Vultus, 12). The Year of Mercy may have officially concluded, but the doors that were opened during this time must remain open as doors to the heart of God so that we can continually be an echo of mercy. 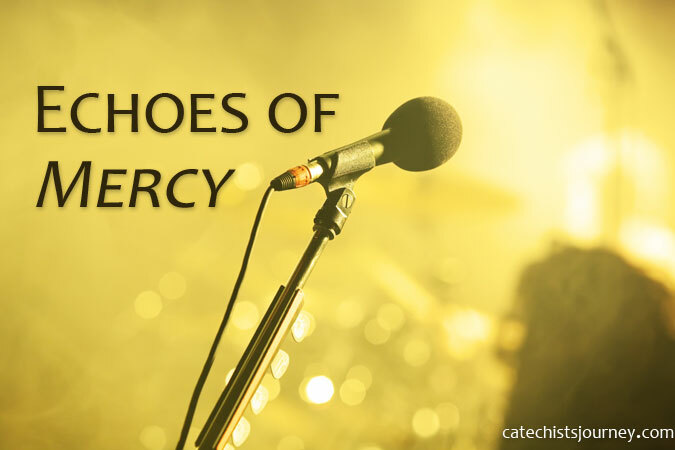 This emphasis on mercy is especially important for catechists, who have such an influence in the lives of young people. 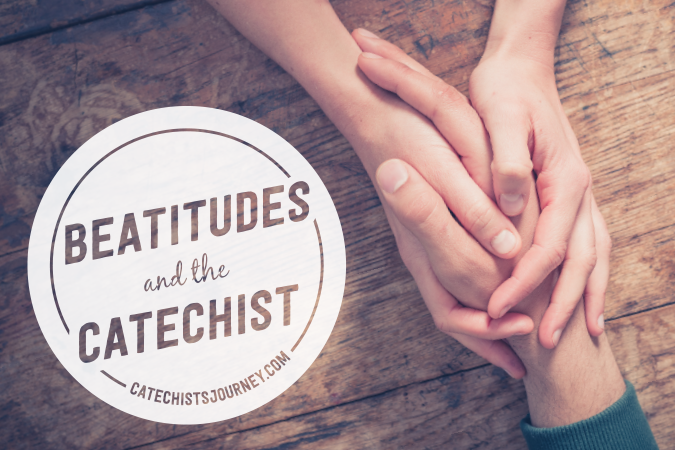 How can we as catechists be sources of mercy and offer that mercy to others? We can instruct the ignorant and be an oasis of mercy ourselves. The word ignorant has a lot of negative connotations associated with it, particularly in how it is used today. Often it is directed and hurled at another person to demean and make him or her feel badly about his or her level of education. Today, it seems that the words ignorant and stupid are used interchangeably. We should not make this mistake, especially as catechists. Ignorant and stupid are not the same thing. Ignorant means uninformed or lacking awareness. Each one of us has been ignorant; we will continue to experience ignorance as we continue to grow and learn about life and our faith. This does not mean that we are not intelligent. There is only one person who is omniscient (all-knowing), and that is God! Instructing the ignorant is a particularly important task for catechists. It is an act of mercy to bring light to a person’s mind which might be plagued by the darkness of misconception and confusion. As catechists, this task of mercy readies a student for the newness of truth and the ability to develop a personal relationship with Jesus Christ. Seeing someone come to an awareness of his or her own faith and begin to seek out ways to deepen this faith is one of the most rewarding things about being a catechist. Pope Francis has repeatedly urged us during his pontificate to take up the call to mercy. We are asked to be a Church that is capable of warming people’s hearts and radiating the joy of the Gospel. The world in its brokenness is crying out for the balm of mercy; we can respond by extending the love of Jesus to another in need of comfort and care. As catechists, we need to re-engage our own need for mercy as children of God and followers of Jesus. Wherever the Church is found, mercy must be evident, and wherever Christians are gathered, so too should others encounter what Pope Francis calls an “oasis of mercy” in our very person. As catechists, people should not see us as impenetrable fortresses; they should see us as sanctuaries where they can find rest as they journey through life. “In our parishes, communities, associations and movements, in a word, wherever there are Christians,” Pope Francis wrote, “everyone should find an oasis of mercy” (Misericordiae Vultus, 12). In our classrooms, there are children who see us in persona Christi, and an unkind word, indifferent attitude, or thoughtless remark can do real damage. While it is true that nobody is perfect, as catechists we need to be especially attentive to how we conduct ourselves in class and model any discipline with love and fairness. Creating an oasis of mercy in your ministry means cultivating an atmosphere of trust, warmth, and openness. We have to be available and listen attentively and compassionately, just as Our Father in Heaven listens to us. Being an oasis of mercy means extending an embrace of love to all in thought, word, and deed. Is your classroom an oasis of mercy? How do you help your students to understand divine mercy? For more on the call to be merciful, read The Church of Mercy by Pope Francis. Help Spread Pope Francis’ Message of Mercy!